How can peace be effectively achieved after conflict? 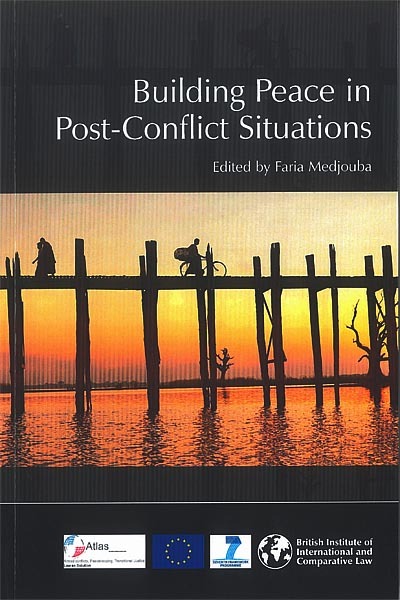 Experts from academia and practice explore in this book examples of post-conflict resolution and its history as well as issues pertaining to different mechanisms to achieve national reconciliation whether via courts, truth and reconciliation commissions and international prosecution. In the first section of this book, 'beyond the courts' mechanisms are analysed: apologies, truth and reconciliation commissions, and amnesties. The case studies section of the book is based on reports of field missions organised by the British Institute of International and Comparative Law in the following post-conflict States: Cambodia, Sierra Leone, and Bosnia and Herzegovina. Then, legal issues in international prosecution such as selectivity, and the effect of international prosecution and domestic courts are discussed. Finally, the issue of reparation for victims is explored with specific regard to women and children. This book forms part of the ATLAS project (Armed Conflicts, Transitional Justice, Peacekeeping: Law as Solution) which is funded by the 7th Framework Programme of the European Commission. It has a great appeal to many and is particularly relevant to students, academics and practitioners in the field of international law and human rights law in post-conflict States. "Building Peace in Post-Conflict Situations"